Well known people are often asked esoteric questions. Last night, a nightmare dinner party occurred. 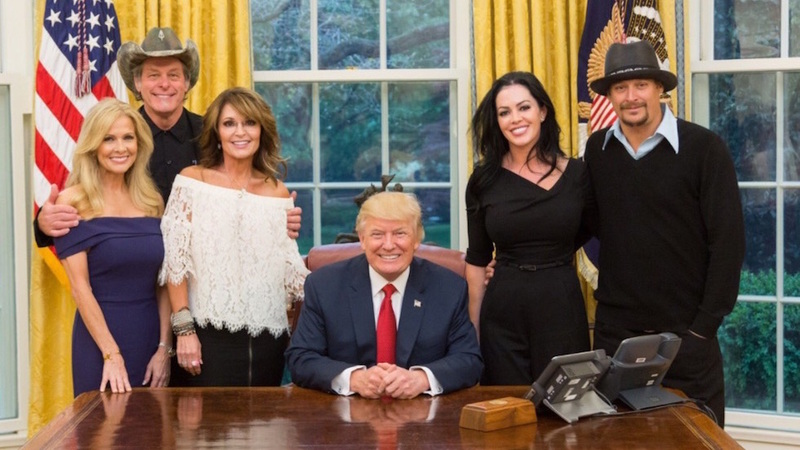 Agent Orange saw Russia from his backyard by breaking bread with Sarah Palin along with gun toting, anti-animal rights activists and conservative rockers, Kid Rock and Ted Nugent. Nugent, an NRA board member, has gone from being questioned by the Secret Service during the Barack Obama administration for literally threatening the former commander-in-chief to being invited to the Oval Office by President Trump. I wonder if big game hunter, Ted Nugent, brought dinner. I would rather have ptomaine poisoning then pull up a brocade chair to that table. I assume that dinner talk featured outtakes from Dumb and Dumber. I can guarantee that humble pie was not served for dessert. 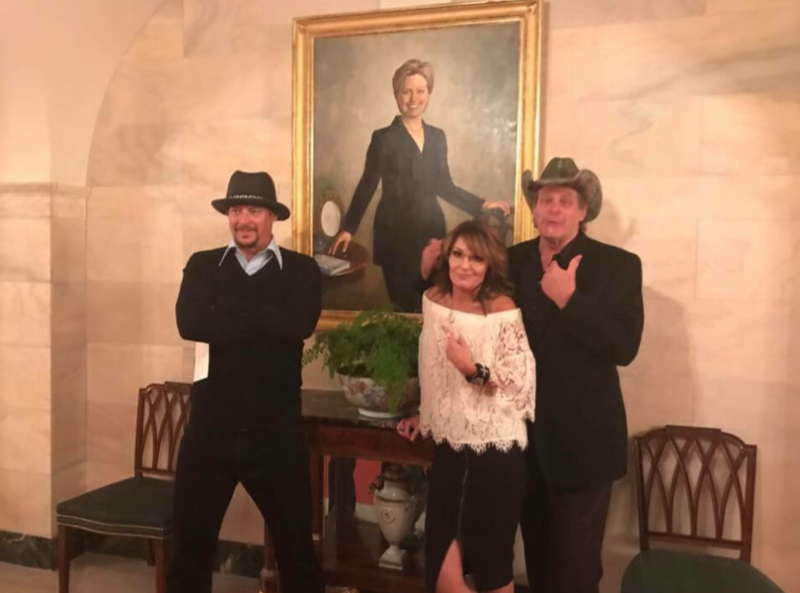 In typical poor taste, Breitbart was present to capture a photo of these right wing buffoons in front of a White House portrait of Hillary Clinton. Last Friday, the Trump administration announced that they will keep the records of who visits the White House secret. I assume it is because the guest log can be quite embarrassing. I finally agreed with the abhorrent administration…some things are better left unsaid.